Payments for Download Monitor is an extension for the Download Monitor plugin that lets you charge people to download files. 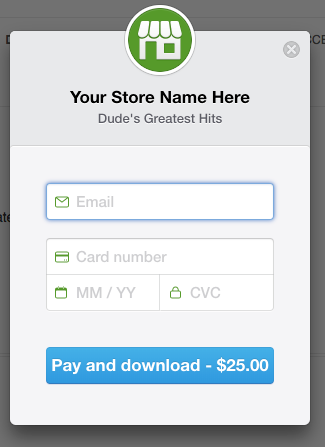 You can accept credit card payments with Stripe and Download Monitor with this add-on. It’s easy to set up. 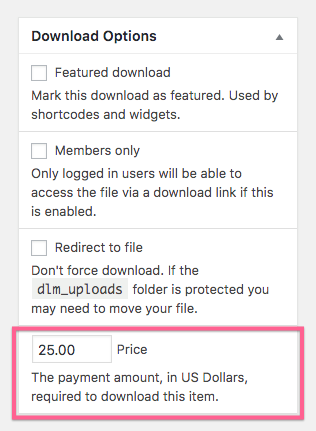 Add your Stripe account API keys to the settings page, set a price for your downloads, and you’re ready to make money selling your files. When a visitor comes to your site, if an item requires payment, they’ll see a payment button if they have not purchased the download before. After paying for the file, the download starts immediately. The customer is emailed a receipt and you, the admin, are emailed about the new sale. 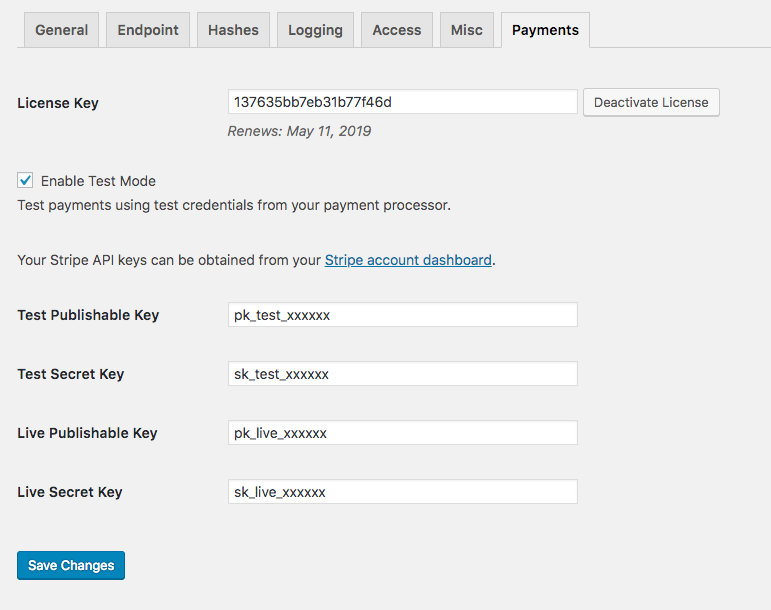 Customers can see their payments with the included [dlm_payments] shortcode, and you can see the payment history for all customers in your WordPress admin. An account is automatically created for any users that are not logged in. Right now US Dollar is the only supported currency, but other currencies are coming very soon! Ready to get started? Get it now.